Nigeria: Beginning from 1 Oct 2018 to 18 Dec 2018, a total of 72 suspected cases have been reported from 10 states. During December 2016–June 2017, the largest global epidemic of meningitis caused by Neisseria meningitidis Serogroup C occurred in northern Nigeria, with 14,518 suspected cases and 1,166 deaths reported. Meningococcal disease caused by Neisseria meningitidis causes severe illness, and could lead to permanent disability or death if not quickly detected and treated. The largest global burden of meningococcal disease is in sub-Saharan Africa, where annual epidemics caused mainly by N. meningitidis serogroup A were previously common. After the introduction of meningococcal A vaccines in 2013, meningitis caused by serogroup A declined. However, N. meningitidis serogroup C (NmC) has now emerged as a cause of large outbreaks. During December 2016–June 2017, the largest global epidemic of meningitis caused by NmC occurred in northern Nigeria, with 14,518 suspected cases and 1,166 deaths reported. An emergency operations center coordinated rapid development and implementation of an emergency outbreak response plan, including administration of meningococcal serogroup C–containing vaccines to >2 million persons. Multiple logistical challenges were encountered during the response; the outbreak was declared over in June 2017. National and regional evaluations of the outbreak response have outlined recommendations for improving meningitis outbreak prevention, timely detection, and response in Nigeria. Implementation of these recommendations will be key to reducing future meningitis outbreaks. Expanding availability of multivalent vaccines that are effective against non-A serogroups of N. meningitidis might prevent future outbreaks in this region. On February 16, 2017, the Ministry of Health in Zamfara State, in northwestern Nigeria, notified the Nigeria Centre for Disease Control (NCDC) of an increased number of suspected cerebrospinal meningitis (meningitis) cases reported from four local government areas (LGAs). Meningitis cases were subsequently also reported from Katsina, Kebbi, Niger, and Sokoto states, all of which share borders with Zamfara State, and from Yobe State in northeastern Nigeria. On April 3, 2017, NCDC activated an Emergency Operations Center (EOC) to coordinate rapid development and implementation of a national meningitis emergency outbreak response plan. After the outbreak was reported, surveillance activities for meningitis cases were enhanced, including retrospective searches for previously unreported cases, implementation of intensified new case finding, and strengthened laboratory confirmation. A total of 14,518 suspected meningitis cases were reported for the period December 13, 2016–June 15, 2017. Among 1,339 cases with laboratory testing, 433 (32%) were positive for bacterial pathogens, including 358 (82.7%) confirmed cases of Neisseria meningitidis serogroup C. In response, approximately 2.1 million persons aged 2–29 years were vaccinated with meningococcal serogroup C–containing vaccines in Katsina, Sokoto, Yobe, and Zamfara states during April–May 2017. The outbreak was declared over on June 15, 2017, after high-quality surveillance yielded no evidence of outbreak-linked cases for 2 consecutive weeks. Routine high-quality surveillance, including a strong laboratory system to test specimens from persons with suspected meningitis, is critical to rapidly detect and confirm future outbreaks and inform decisions regarding response vaccination. All northern Nigeria states lie within the sub-Saharan “Meningitis Belt,” a region of 26 countries that experiences the largest burden of meningococcal disease, with annual epidemics reported during the December–June dry season. Meningitis causes severe illness, and if not detected and treated quickly, could lead to permanent disability that puts a significant burden on families. In many settings, approximately 10% of meningitis cases ultimately result in death. Before introduction of the meningococcal serogroup A conjugate vaccine (MenAfriVac) in 2013 (1), Nigeria experienced some of the largest epidemics of meningococcal meningitis, including the 1996 N. meningitidis serogroup A (NmA) epidemic that resulted in 109,580 suspected cases and 11,717 reported deaths (2). In 2013, a new strain of N. meningitidis serogroup C (NmC) emerged in Nigeria, resulting in small focal outbreaks during 2014–2016 (3,4). In 2015, this strain of NmC entered neighboring Niger, resulting in the largest ever global epidemic of serogroup C meningitis (5), until the 2016–2017 Nigeria epidemic described in this report. Molecular sequencing of bacterial isolates from patients in the region has confirmed the expansion of this new strain of serogroup C in five countries in the region (Ryan Novak, National Center for Immunization and Respiratory Diseases, CDC, personal communication, 2017). A suspected case of meningitis was defined as the sudden onset of fever (>100.4°F [>38.0°C]) and at least one meningeal sign, including neck stiffness or altered consciousness in any person, or a bulging anterior fontanelle in children aged <18 months (6). Available cerebrospinal fluid (CSF) or blood specimens from patients meeting the suspected meningitis case definition were transported to a designated laboratory for confirmation by culture, latex agglutination, or real-time–polymerase chain reaction (PCR) tests. World Health Organization (WHO) Meningitis Outbreak Response Guidelines were used to identify geographic areas at risk for epidemics to guide response (6). Attack rates of suspected meningitis cases reported weekly by LGAs were calculated. WHO recommends that a set of preparedness activities be implemented when the attack rate of suspected meningitis in an LGA crosses a defined “Alert” threshold, and additional response activities at a defined “Epidemic” threshold (Table 1). Two outbreak investigation teams were deployed to Zamfara and Sokoto states to augment routine surveillance, forward available CSF specimens to a designated laboratory for analysis, verify the extent of the outbreak, and gather specific information regarding the affected population to guide response. The first meningitis cases, a 21-case cluster in a village in Zurmi LGA of Zamfara State, were reported to the State Ministry of Health in December 2016; however, the cluster was not reported to NCDC until February 2017, after the outbreak had spread to four other LGAs in Zamfara, and to Katsina, Kebbi, Niger, and Sokoto states. During December 2016–June 2017, among Nigeria’s 37 state-level jurisdictions, 26 (70%) reported suspected meningitis cases, with peak incidence during reporting week 15 (April 16–22, 2017) (Figure). Meningitis incidence in 56 LGAs met the alert threshold and in 38 met the epidemic threshold. Overall, 14,518 suspected cases and 1,166 deaths (case-fatality ratio = 8.0%), were reported during the outbreak; 7,140 (49%) cases were reported from Zamfara State, and 6,792 (47%) occurred in children aged 5–14 years (Table 2). Confirmatory laboratory testing was conducted for specimens from 1,339 (9%) suspected meningitis patients; among these, 433 (32.3%) were laboratory-confirmed as bacterial meningitis, including 358 (82.7%) with NmC (Table 2). Following initial investigations, including health facility register reviews and analysis of community informant reports, NCDC activated the meningitis EOC on April 3, 2017 to coordinate outbreak response strategies and operations across the entire country in collaboration with country partner agencies, including WHO, CDC, the Africa Centre for Disease Control and Prevention, the United Nations Children’s Fund (UNICEF) and the Africa Field Epidemiology Network. To ensure that suspected meningitis cases were rapidly detected and investigated, meningitis surveillance, according to WHO’s Africa Region Guidelines for Enhanced Meningitis Surveillance, was strengthened in all states, regardless of whether states reported cases. EOCs were also activated to coordinate outbreak response activities in Sokoto and Zamfara states, the two states at the epicenter of the outbreak. Rapid response teams of epidemiologists and clinicians were deployed from the national EOC to support states with at least one LGA meeting the defined outbreak threshold. Early outbreak response activities were hampered by difficulty in accessing some of the more rural and remote communities experiencing the outbreak. A limited capacity for CSF specimen collection among health care workers, deficiencies in the laboratory systems, including a lack of basic test kits and limited resources to support timely and appropriate specimen transportation from health facilities to a laboratory with PCR or culture capacity, contributed to delayed case identification. Additionally, the human resources needed to support effective outbreak detection and response were limited in some of the states with the largest case numbers, necessitating the recruitment and deployment of a large contingent of ad hoc technical support personnel from the national level to support outbreak control activities in these states. The National Primary Health Care Development Agency, responsible for vaccination activities in Nigeria, received meningococcal C–containing vaccines through the International Coordinating Group on Vaccine Provision in April 2017, 2 months after the outbreak was first widely reported. Because of limited vaccine supplies, vaccine use was prioritized to the most affected LGAs in Katsina, Sokoto, Yobe, and Zamfara states (6) where approximately 2.1 million (84.4%) of an estimated 2.5 million persons at risk (based on the WHO guidelines) aged 2–29 years were vaccinated. Extensive social mobilization activities, including outreach to community leaders and engagement on social and traditional media helped raise awareness and facilitate desired behavior change, including vaccine acceptance and avoidance of overcrowding, thereby reducing potential for continued transmission. The outbreak likely represents the largest global outbreak of NmC. Response measures implemented during the outbreak, including improved case finding and management as well as mass vaccination campaigns, might have contributed to the outbreak control. However, the large number of cases and prolonged duration of the outbreak highlight key lessons for meningitis outbreak prevention, detection, and response in Nigeria and other countries in the meningitis belt. Timely and appropriate use of meningococcal vaccines is effective in preventing and limiting the spread of meningococcal meningitis outbreaks. The introduction of the meningococcal A conjugate vaccine against NmA in Nigeria and other countries in the meningitis belt represents a major milestone in meningitis outbreak control and has contributed to significant reductions in NmA infections (7,8). However, laboratory data from this and other recent outbreaks point to the evolving regional meningitis epidemiology with increasing proportions of epidemics attributable to bacterial meningitis pathogens other than NmA, for which meningococcal A conjugate vaccine provides no protection (3,4). These findings suggest an urgent need to expand availability of multivalent vaccines that are effective against non-A serogroups. In Nigeria, meningitis is classified as an epidemic-prone disease, requiring immediate notification, investigation, and necessary action (9); significant lapses in reporting in the early stages of this outbreak (from December 2016 to February 2017) might have contributed to its large size and wide reach. Additionally, limited capacity for CSF specimen collection, a lack of test kits, and inadequate resources to support timely and appropriate specimen transportation from health facilities to a laboratory with PCR or culture capacity contributed to the low percentage of confirmed meningitis cases. Similarly, delays in case finding, reporting and investigation, especially in the more remote areas, limited timely outbreak response. These meningitis surveillance system weaknesses merit further investigation, with remediating action implemented to prevent future reoccurrence. Because delayed access to meningococcal vaccines might have contributed to the prolonged outbreak duration, a careful examination of country vaccine requisition processes, and International Coordinating Group on Vaccine Provision protocols for vaccine requests, approval, delivery and use, is needed. A surveillance and outbreak response system is most effective when the capacity to prevent, detect, and appropriately respond to outbreaks is available (10). In Nigeria, the human resource capacity to support an effective outbreak response varied widely within and between states, and was severely limited in some of the most at-risk states and LGAs. In low human resource capacity settings, evolving and refining new models for effective and timely outbreak detection and response, including scaling up emergency Rapid Response Team deployment where needed, is critical. In Nigeria, an opportunity exists for improved response coordination with lessons learned from EOCs established for coordination of polio eradication activities and response to Ebola virus disease, as well as leveraging trained personnel from the Nigeria Field Epidemiology and Laboratory Training Program. In the longer term, building adequate health care worker capacity at all national and subnational surveillance system levels will be essential to a timely and effective outbreak response. Functional laboratory systems are pivotal to meningitis case confirmation and provide guidance for critical outbreak response activities, including decisions on appropriate vaccine use. With the outbreak now declared over, efforts to improve surveillance and outbreak preparedness for meningitis need to continue. Recently concluded national and regional evaluations of the outbreak response have articulated recommendations for improving meningitis outbreak prevention, timely detection, and response in Nigeria, and implementation of these recommendations is needed at all levels of the public health system. Additionally, conducting a review of the implementation of current meningitis outbreak alert and epidemic thresholds in Nigeria, including an assessment of sub-LGA–level sensitivity to outbreaks at the current thresholds could help to ensure optimal and timely detection at the lower levels. Developing and introducing conjugate vaccines effective against non-A meningococcal serogroups might help reduce the risk for future non-serogroup A meningococcal meningitis outbreaks. * Guidelines adapted from http://apps.who.int/iris/handle/10665/144727. † In special situations such as mass gatherings, refugees, displaced persons or closed institutions, two confirmed cases in a week should prompt mass vaccination. § If an area neighboring one targeted for vaccination is considered to be at risk (e.g., cases early in the dry season, no recent relevant vaccination campaign, or high population density), it should be included in a vaccination program. * Reporting week 15 corresponds to April 16–22, 2017; week 21 corresponds to June 4–10, 2017. This is an update to the Disease Outbreak News “Unexplained cluster of deaths – Liberia” published on 5 May 2017 and update published on 10 May 2017. On 25 April 2017, the Ministry of Health (MoH) of Liberia notified WHO and partners of a cluster of sudden deaths of unknown aetiology in Sinoe County. The event started on 23 April 2017, when an 11-year-old female had been admitted to hospital presenting with diarrhoea, vomiting, and mental confusion after attending the funeral of a religious leader on 22 April 2017. The child died within one hour of admission. Between 23 April and 7 May, a total of 31 cases including 13 deaths, and one case with neurological sequelae of an unknown disease associated with attending a funeral were reported from three counties (Sinoe, Grand Bassa, and Montserrado). The majority of cases did not present with fever, but did present with abdominal pain, diarrhoea, vomiting, and mental confusion. Some patients presented with purpura and/ or petechiae. Most of the cases were related to each other either socially, through family or school. All but two cases attended the funeral, who were subsequently identified as contacts of the index case. On 8 May 2017, MoH informed partners and the public that specimens taken from patients tested positive for Neisseria meningitidis serotype C at the United States Centers for Disease Control and Prevention (CDC). The outbreak was therefore classified as a meningococcal disease outbreak. 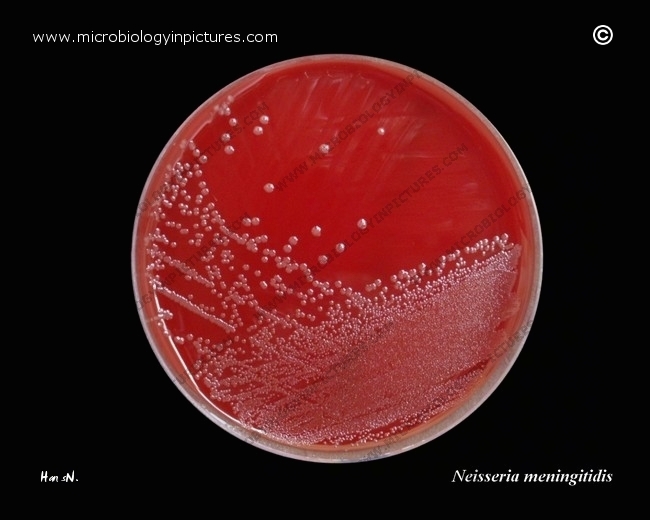 A total of 14 cases out of 31 cases were later confirmed with presence of Neisseria meningitidis C by PCR in clinical specimens conducted at the National Reference Laboratory in Liberia or clinically diagnosed due to the presence of purpura fulminans. Laboratory results were further confirmed by the National Institute for Communicable Diseases (NICD) and the National Institute of Occupational Health (NIOH) in Johannesburg, South Africa, in addition to serological results of three cases that were tested at Institute Pasteur in France. The temporal characteristics of this outbreak are unusual raising the hypothesis of the presence of a co-factor. Additionally, on 8 May 2017, the MoH informed partners and the public that toxicological investigations conducted by CDC on urine samples from three cases did not suggest that intoxication was the cause of the outbreak. The samples were tested for pesticide metabolites and toxic metals. On 20 June 2017, the MoH was notified that results of toxicological investigations carried out at the Center for Analytical Chemistry in Vienna, Austria, on food samples, water and a soft drink that were consumed during the funeral, were not suggestive of intoxication. The samples were tested for more than 600 fungal and bacterial toxins and these were either not detected or were within regulatory limits. The MoH supported by the WHO, CDC, Africa Field Epidemiology Network (AFENET), and other partners started on-site investigations one day after the alert. No disease was identified at the start of the outbreak and Ebola virus disease (EVD) was ruled out within 24 hours of the alert. Most of the cases from Sinoe were managed in the local hospital in Greenville, the capital of Sinoe County and received treatment as per EVD protocol. Infection, prevention, and control measures were implemented in the local hospital. Active case searching was conducted and identified attendees of the funeral and close contacts of the cases were followed up for 21 days. Autopsies were conducted on two patients. Approximately 70 specimens (58 clinical specimens and 12 food samples) were collected for laboratory testing and sent to the national reference laboratory in Margibi County, the United States, France, South Africa, and Austria. Chemoprophylaxis was distributed to all attendees, contacts of the cases, health workers, and burial personnel. A meningitis C vaccination strategy was discussed but not implemented due to the lack of secondary transmission. Social mobilization was implemented with the support of UNICEF. In the absence of clear understanding of the epidemiology of this outbreak , the risk of recurrence cannot be excluded. However, based on current understanding of the epidemiology of meningococcal disease, the risk is considered low. The efficient and timely implementation of the response to this event is a result of the expertise developed in Liberia following the large outbreak of EVD in 2014. This led to the quick identification of the event, testing and ruling out EVD as the cause of the outbreak, identification of contacts and their follow-up and the collaboration of the country with partners to perform laboratory testing of human and environmental specimens, which led to the identification of the cause of the disease. WHO does not recommend any restriction on travel and trade to Liberia on the basis of the information available on the current event. WHO recommends the inclusion of meningococcal septicemia in routine surveillance in Liberia as an epidemic prone disease together with meningitis due to Neisseria meningitidis. Thousands of men, women, and children in northern Nigeria have been affected by a meningitis C outbreak, reportedly the largest to hit the country in the past nine years. “…..MSF set up a 200-bed treatment centre in Sokoto Town, followed by a 20-bed facility in Anka, Zamfara. In these locations, MSF’s Nigeria Emergency Response Unit (NERU) works intensively to provide free, high-quality medical care and reduce mortality rates as much as possible. These teams treat challenging cases in a difficult environment. WHO: Liberia’s health ministry states that samples from four people who died as part of an unexplained illness cluster tested positive for Neisseria meningitidis serotype C.
On 25 April 2017, the Ministry of Health of Liberia notified WHO and partners of a cluster of sudden deaths of unknown aetiology in Sinoe County. The event began on 23 April 2017 when an 11-year-old child was admitted to hospital presenting with diarrhoea, vomiting and mental confusion after attending a funeral on 22 April 2017. As of 9 May 2017, a total of 31 cases including 13 deaths have been reported. The Ministry of Health of Liberia (MOH) responded quickly to the cluster using the emergency management and laboratory infrastructure it developed during the Ebola outbreak alongside WHO, and other public health partners. The Liberian MOH sent blood, urine, and plasma samples to the US Centers for Disease Control and Prevention (CDC) for testing of infectious diseases and environmental toxins. On 8 May, WHO was informed by Liberia’s MOH that samples from four of the deceased patients had tested positive for meningitis C (Neisseria menigitidis). Although these most recent reports point to meningitis as the probable cause of illness and death in these patients, the investigation is still ongoing to determine if this bacteria is responsible for other reported illnesses in this cluster. While awaiting full toxicology reports, the Liberian MOH is exploring whether vaccination against meningitis is an appropriate course of action. WHO supports the ongoing epidemiological and laboratory investigations to identify the etiological agent of this cluster of cases to guide additional control measures. Since it was notified of the cluster of sudden deaths, WHO has worked closely with Liberian Ministry of Health and other partners in areas of overall coordination, surveillance, contact tracing, case management, social mobilization, community engagement, laboratory investigation, and infection prevention and control. A vaccination campaign is underway in Nigeria to contain an outbreak of meningitis C, a strain of meningitis which first emerged in the country in 2013. Since the beginning of this year, the country has reported 4637 suspected cases and 489 deaths across five states. The International Coordinating Group (ICG) on Vaccine Provision, which coordinates the provision of emergency vaccine supplies during outbreak emergencies, has sent 500 000 doses of meningitis C-containing vaccine to Nigeria to combat the epidemic. The vaccines, funded by Gavi, the Vaccine Alliance, have been administered in Zamfara and Katsina states, which are the worst affected by the outbreak. An additional 820 000 doses of a meningitis C conjugate vaccine – a donation from the UK government to the World Health Organization (WHO) – is being sent to the country. In the last week, the ICG, which is managed by the International Federation of Red Cross and Red Crescent Societies (IFRC), Médecins sans Frontières (MSF), the United Nations Children’s Fund (UNICEF), and WHO, has also sent 341 000 doses of the Gavi-supported meningitis C-containing vaccine to Niger, where there are over 1300 suspected cases of the disease in districts that border with Nigeria and in the Niamey region of the country. Meningococcal meningitis is a bacterial form of meningitis, a serious infection of the thin lining that surrounds the brain and spinal cord and can cause severe brain damage. Meningococcal meningitis is fatal in 50% of cases if untreated. Though cases of meningitis occur throughout the world, large, recurring epidemics affect an extensive region of sub-Saharan Africa known as the “meningitis belt” which includes 26 countries from Senegal in the west to Ethiopia in the east. There are several different types of meningococcal meningitis (A, C, W, etc.) that can cause epidemics. Substantial progress has been made in recent years in protecting Africa from disease due to one of the main epidemic types, through the successful introduction of the Men A conjugate vaccine (MACV) against meningitis A. Since MACV was introduced in 2010, more than 260 million people have been vaccinated across 19 countries. This has resulted in a reduction of the number of meningitis cases by more than 57%. Much work, however, remains to be done to protect the region from meningitis C outbreaks and other types of the disease. The Nigeria Centre for Disease Control, with support from WHO, US CDC, UNICEF and other partners, is leading and coordinating the response to the ongoing outbreak, including intensified surveillance, capacity building for case management and risk communication. WHO’s Country Office in Nigeria, including a number of field offices, have been supporting the government since the outbreak began. An additional team of WHO of meningitis experts has arrived in Nigeria to provide additional epidemic response. “In addition to improving the care of the sick, we are focusing on ensuring accurate information about the spread of the outbreak is available as quickly as possible to help us make the most effective use of vaccines,” says Dr Wondimagegnehu Alemu, WHO Representative to Nigeria. Since 2013, there have been outbreaks of meningitis C in Nigeria, initially limited to a few areas in Kebbi and Sokoto states in 2013 and 2014. In 2015, however, there were more than 2500 cases of the disease across 3 states in Nigeria as well as 8500 cases in Niger. Most vaccines currently being used for meningitis C outbreaks in Africa are polysaccharide vaccines, which are in short supply as they are being phased out in other parts of the world. The more effective and long-lasting conjugate vaccines, however, are not readily accessible for outbreak response in the region. The ICG global emergency stockpile currently has approximately 1.2 million doses of meningitis C-containing vaccines left. In the past, Nigeria has suffered large-scale outbreaks of meningitis A. In 2009, such an outbreak in the country caused over 55 000 cases with close to 2500 deaths. Niger was also affected, with 13 000 cases and 550 deaths. However, preventive mass vaccination campaigns supported by Gavi and partners, using the safe and effective MACV in Niger (2010-11) and Nigeria (2011-14) have provided high and long-term protection against the bacteria. Since 2010, less than 20 cases of meningitis A have been reported from all vaccinated areas in the region. WHO recommends the continued roll-out of the Men A conjugate vaccine campaigns along with its introduction into routine immunization to prevent a major recurrence of devastating meningitis A epidemics.